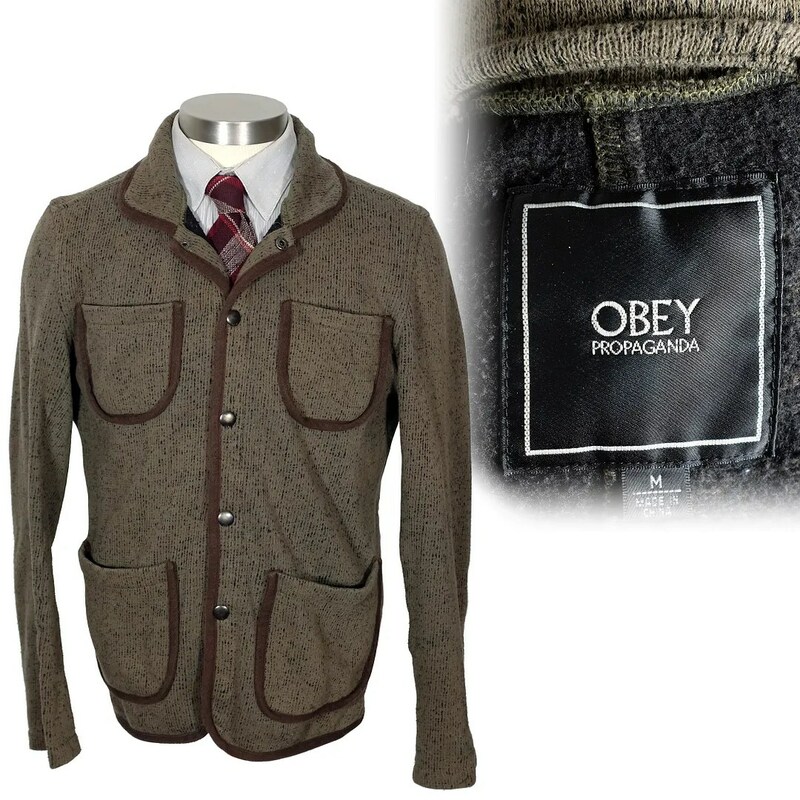 This jacket was made under the Obey label (Shepard Fairey), with a design and fabric heavily influenced by Brown’s Beach jackets. 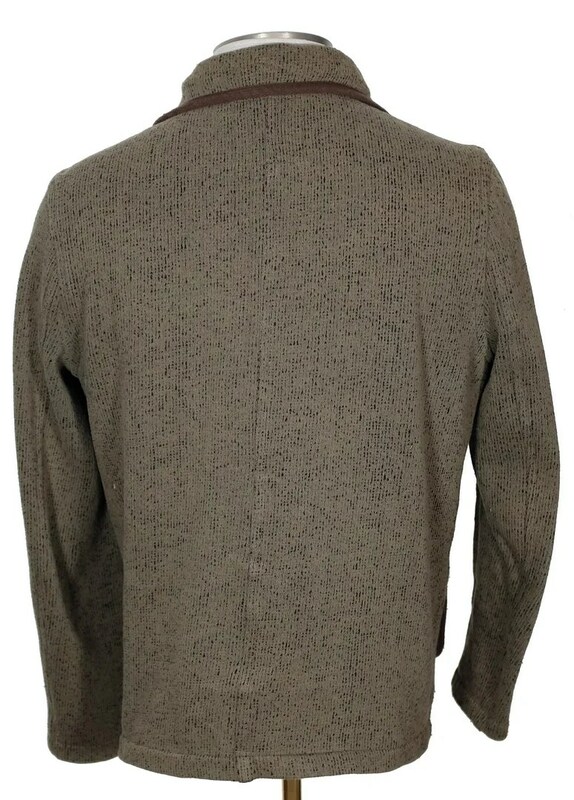 It’s made of a cotton blend knit, flecked on the front, fuzzy and solid on the back. 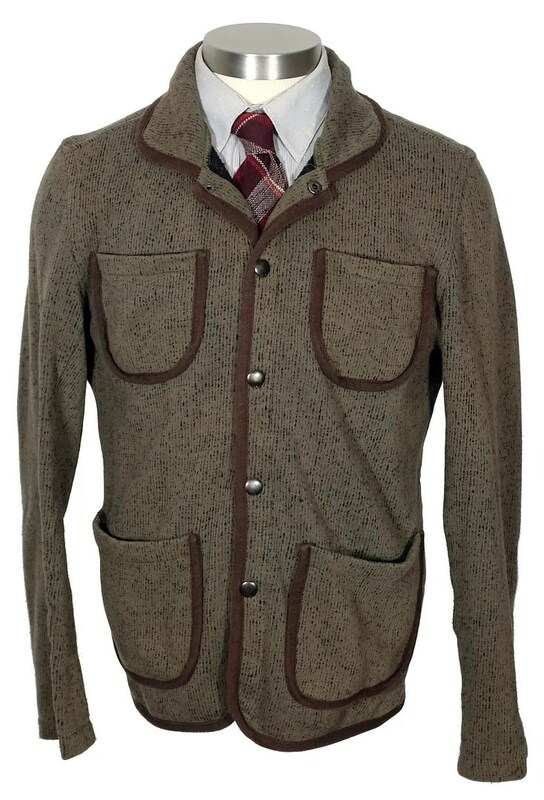 It has trimmed seams and pockets and a snap front. 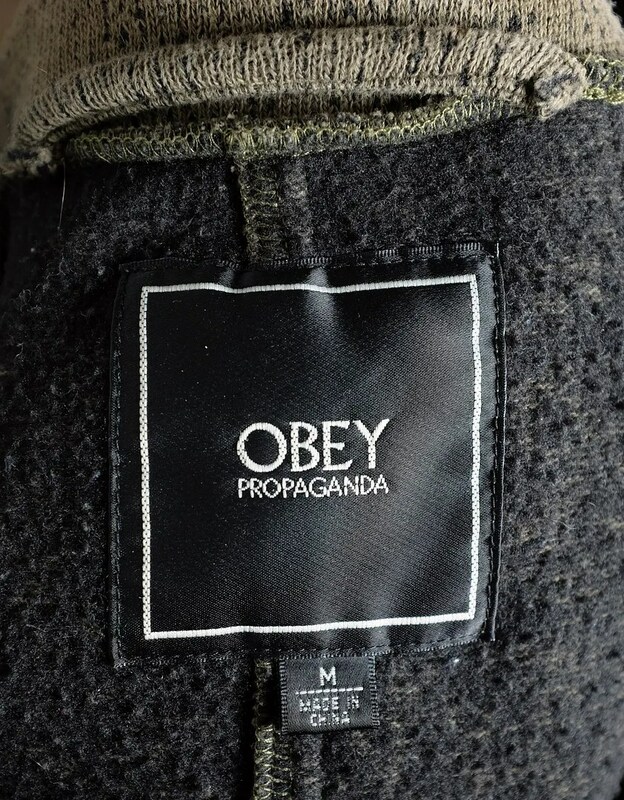 This entry was posted in Jackets and tagged browns beach jacket, Obey Propaganda, sweatshirt, vintage by Spencer Stewart. Bookmark the permalink.